You are here: Home / Natural Fine Planetary Talismans / Striking Golden Yellow Sapphire!. Come and appreciate the beauty of an unheated Sri Lankan Yellow Sapphire in its full glory! Yellow Sapphire-The Gemstone of Jupiter! Striking Golden Yellow Sapphire!. Come and appreciate the beauty of an unheated Sri Lankan Yellow Sapphire in its full glory! Yellow Sapphire-The Gemstone of Jupiter! Comments A great gemstone for a gracious and understanding patron. It’s true that even though Human’s think that they choose a gemstone on the basis of cut, color, clarity and carat weight it is not so. We do not choose our Gemstones. Our Gemstones choose us!. 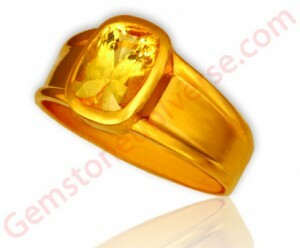 The singular feature is the royal striking golden yellow color. Absolutely, top quality Jyotish Quality that bring in so much happiness and warmth.Note:Thank You dear patron for your co operation and your gracious testimonial. Appreciate it! 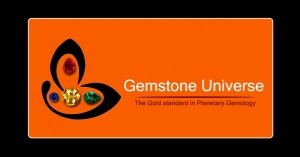 Gemstoneuniverse.com-The Gold Standard in Planetary Gemology! I want to buy this piece (may be ring size could be different). Please let me know how I should deal with you to get its delivery (by post) in USA. Thanks. Thank you for your interest. This piece was sold back in November 2010. The Gemstoneuniverse blog periodically features Jyotish Gemstone rings and pendants shipped out on a regular basis so that our viewers are able to understand the features of each unique piece, Gemologists notes about the 4C’s and can compare prices on a number of factors over a period of time taking into account colour, weight etc of the Gemstone. And then communicate to us that you want the same ring design.